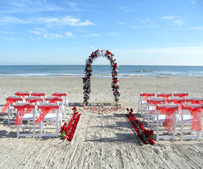 Tour De Tents is your one stop Galveston Rental shop, specializing in event rentals for all occasions. Whether you are hosting a formal wedding or backyard BBQ, we can help turn your vision into a beautiful, elegant, fun, or exciting event. We serve Galveston, Texas City, Dickinson, League City, Friendswood, LaMarque, Santa Fe, Hitchcock and the surrounding Texas areas. Tour de tents is a proud Galveston Island family owned and operated business that leaves a fresh impression on event planning. Our goal is to take your event to the next level while creating an atmosphere that caters to your every need. Each planned event is special to us so we are sure to make your personalized occasion a memorable experience! Serving Galveston, Texas City, Dickinson, League City, Friendswood, LaMarque, Santa Fe, Hitchcock and the surrounding Texas areas.